Millions of people have discovered how to read through God's entire Word using "The One Year Bible." Now there's a special edition just for women! This best-selling daily reading Bible divides the text into 365 sections, so you can read through the entire Bible in one unforgettable year-in as little as fifteen minutes a day! You'll also find encouraging, inspirational thoughts to boost your faith and brighten your day. Convenience: No other "through the Bible" plan presents the entire Bible in such a user-friendly format. New Living Translation: The authoritative and emotive text of the "New Living Translation" will help you gain life-changing insights during your daily readings. Unique Design: Each fifteen-minute daily reading includes a portion from the Old Testament, the New Testament, Psalms, and Proverbs. The fresh, attractive layout makes it easy to read each day. Highlighted Scriptures: Highlighted passages help you focus on a key thought in each day's reading. Variety of Applications: "The One Year Bible" is ideal for personal devotions, instructional reading, or small group study. Inspirational Thoughts: Words of wisdom from a wide variety of sources offer encouragement to women of all ages. Start today! Begin reading "The One Year Bible" from cover to cover, and experience the spiritual growth and communion with God that come from daily Bible reading. 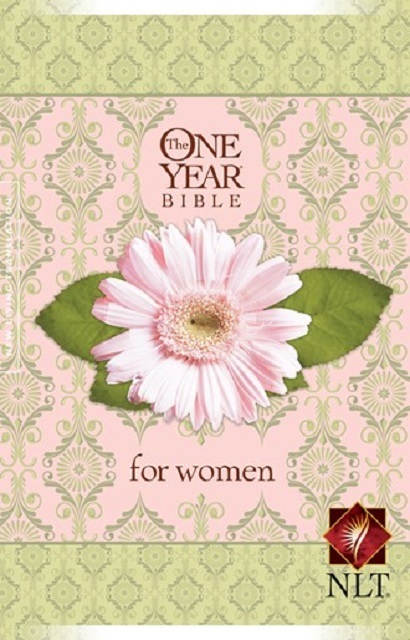 "The One Year Bible" is available in a number of other editions and versions to meet a variety of personal preferences. Kiadás ideje: 2007. október 1.